Don’t miss out on the fun. This event attracts dog lovers and their dogs from the entire Tri-Valley area. Start your adventure at Molly’s Pup-Purr-ee, we will give you a map to begin your walk to collect the goodies for your doggies at participating retailers. 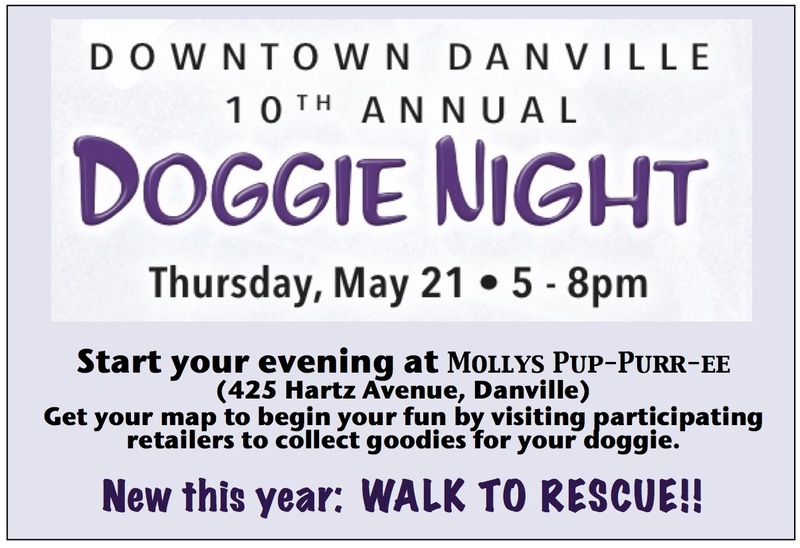 Hartz Avenue in downtown Danville will transformed into a sea of doggies and their humans. Many of the pooches come all dressed up for the occasion too. Last year brought out an crowd of 650 doggies and their 2200 humans. “Walk to Rescue” is a new feature at Doggie Night this year. Animal rescue groups will be on the mapped Doggie Night route. 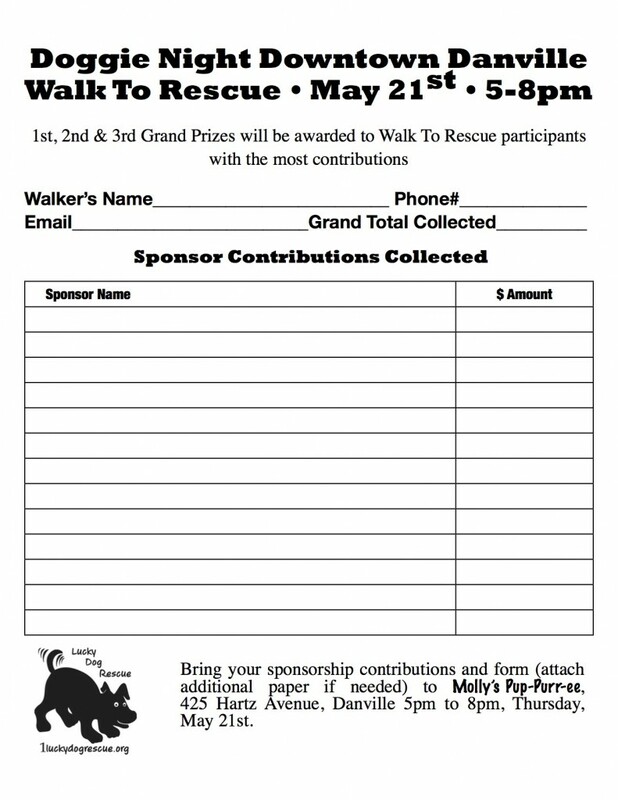 Prior to 5/21, participants are encouraged to collect contributions from sponsors for walking your dog to all the dog rescue points. Please support Lucky Dog Rescue, print the form below to collect donations from your family and friends. Bring your completed form with donations to Molly’s Pup-Purr-ee at Danville Doggie Night.